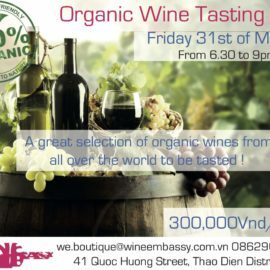 Come to Wine Embassy Boutique, and enjoy the most ideal Champagne tasting session ever. 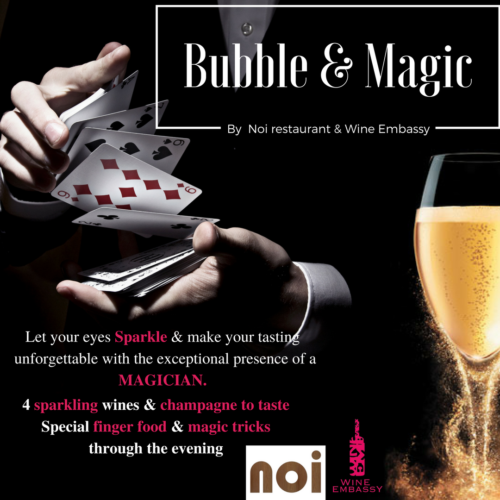 Reasonable price for more than 4 types of Sparkling and Champagne. 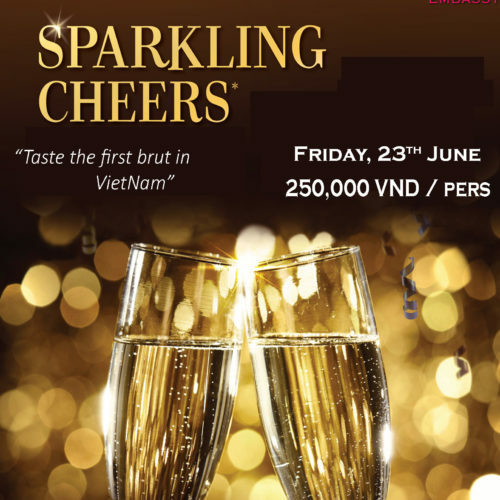 And get to have a look at the first ever Brut champagne that imported into Vietnam! 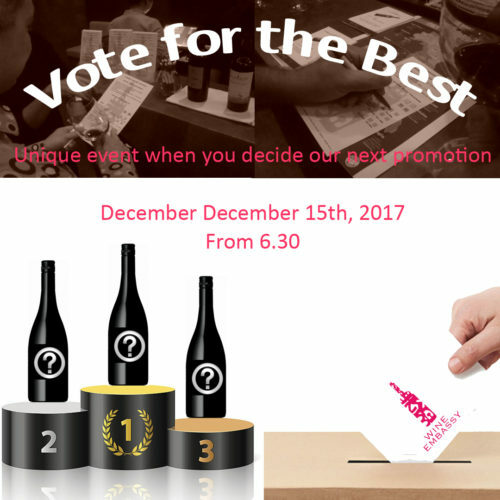 Unique event when you will taste and vote for the best wine to be on promotion next month Your Vote count more than ever. 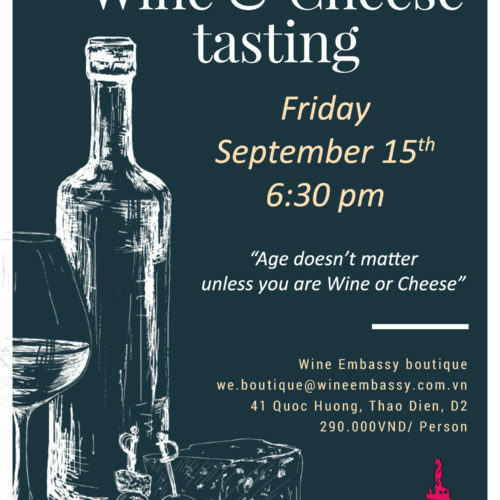 The Wine Embassy Team will fight, trying to convince you their wine is better than the other. At the end, only 1 will win, and it s you who will decide. 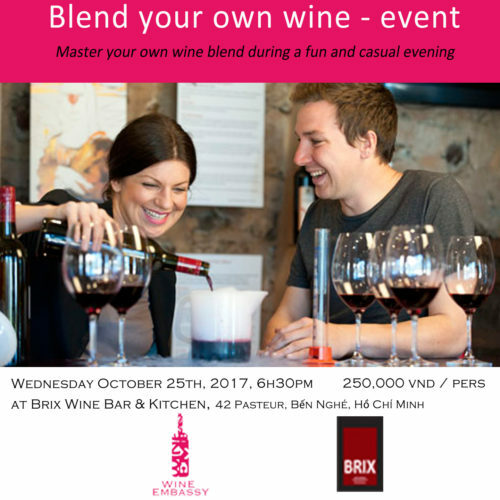 Theme : Bordeaux Red Limited to 15 people Max, 100,000 vnd / person Registration ESSENTIAL Book Now if you don t want to missit. [FULLY BOOKED] - FOLLOW OUR FACEBOOK PAGE TO SUBSCRIBE TO THE NEWEST EVENTS. Particular tasting section, with 6 wines available to taste. 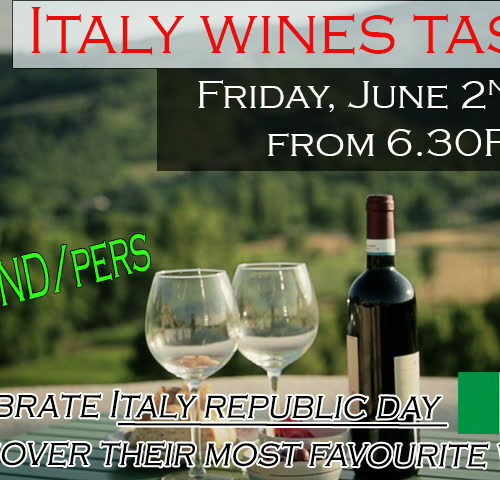 Moreover all of our Italian Products, no less than 15 choices, are on 20% off Join in and enjoy the experience with Wine Embassy ! Check for a train travel around the world. 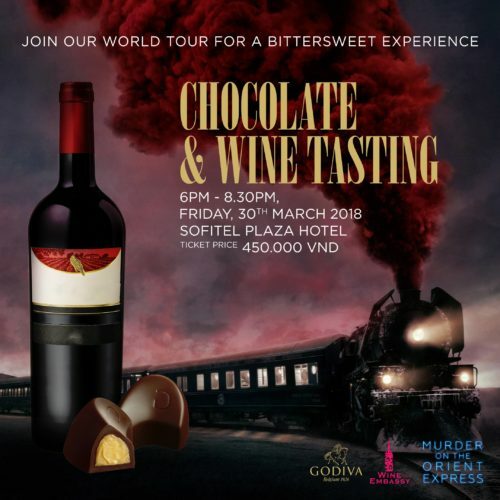 Unique experience where you will Discover a beautiful and tasty Wine and chocolate pairing tasting. 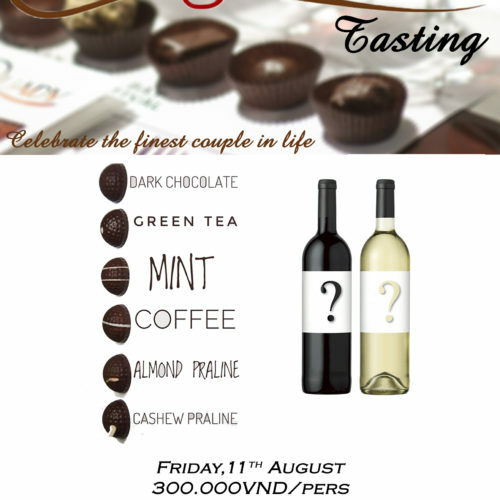 Famous chocolate from the brand Godiva paired with a premium wine selection from Wine Embassy. 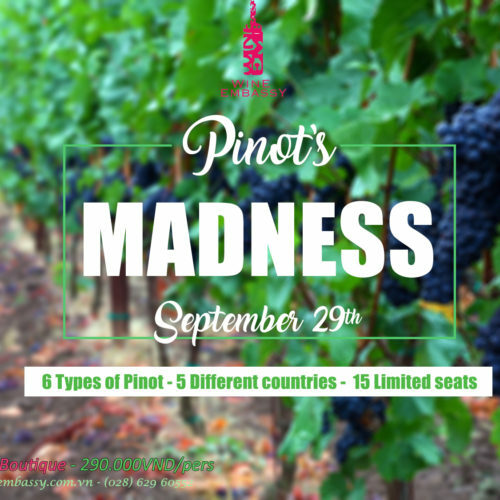 Pinot's ? Did you say Pinot's ? 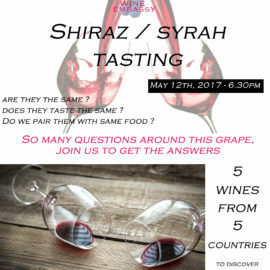 Join a great evening to discover various Pinot Grigio and Pinot Noir from around the world [South Africa, France, New Zealand, Italy...]. Fruity, crispy, charming... you will become unbeatable on Pinot's. 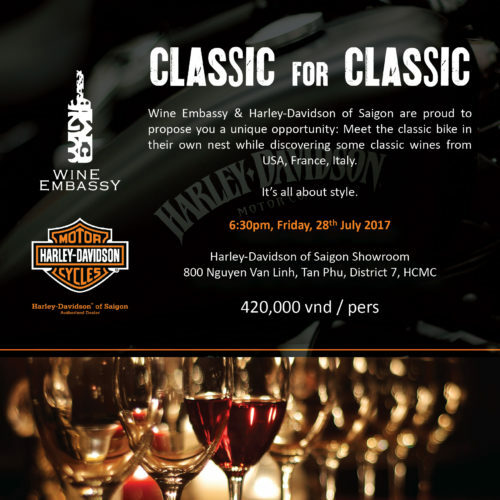 290,000 vnd / person, including finger food. 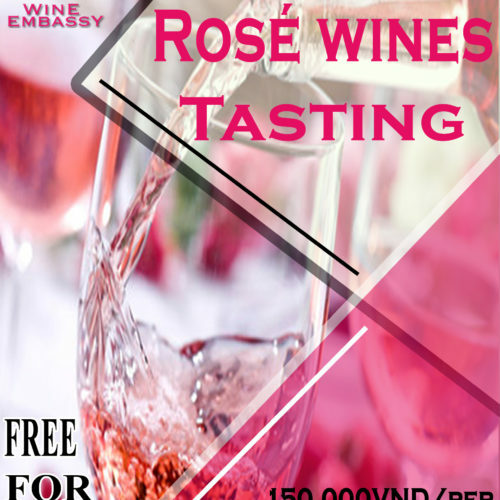 Get to taste the freshest and coolest Rosé! Free entrance for Pink touch on your outfit ! Michelin star Sommelier & Wine Journalist. Worked in the bestrestaurants in NYC & now he travels the world of wine writing delicious article about wine & food. Be curious, join us: Discover new flavors & Pairings. Join us this Friday, 7th July at 6.30PM! 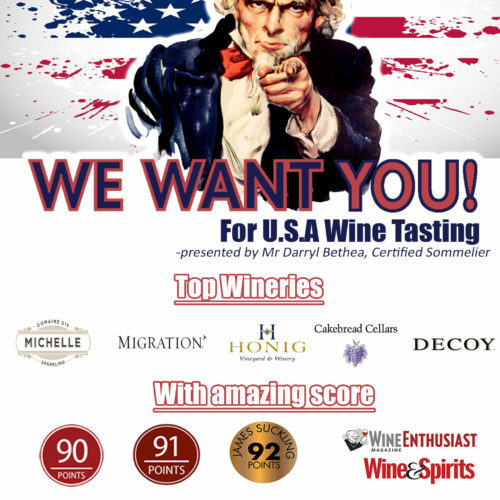 To discover 5 Wines from the top Wineries in the States - presented by Mr. Darryl Bertha, a Certified Sommelier. 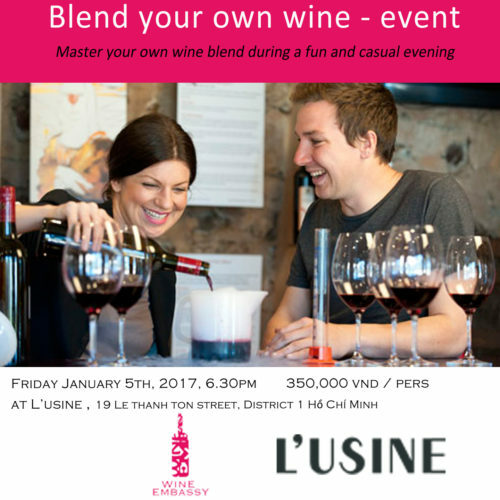 Unique, openly friendly atmosphere, get to learn heaps while catching up with the Wine Lovers in the area. Check-out now to Sign up! 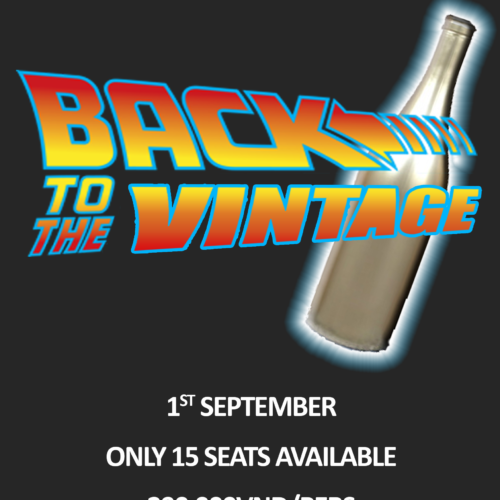 Jump into a time travel to discover the secret of vintage ! 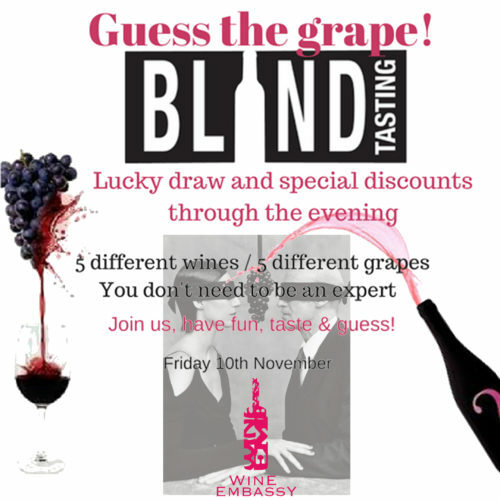 Reveal 6 wines on different vintages with Wine Embassy this Friday. 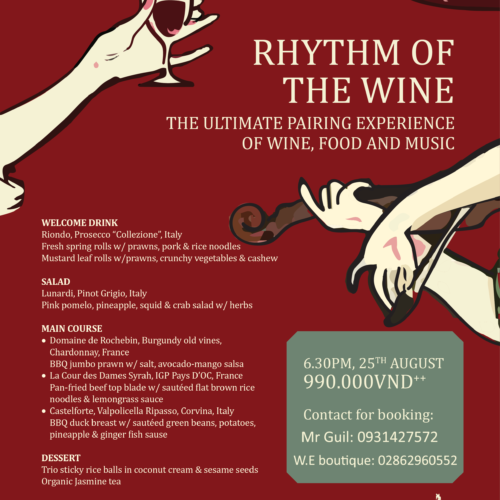 A wonderful opportunity to learn, taste good Wines while meeting all the Wine Lovers like you !